It is the first time since World War Two the lights have gone off, except for power cuts and special events. A temporary advertising banner will replace the lights. A permanent single screen will be unveiled in autumn to replace the current six screens. As well as being an advertising board, it will be able to provide live video streaming and give updates about events such as the weather and sports results. 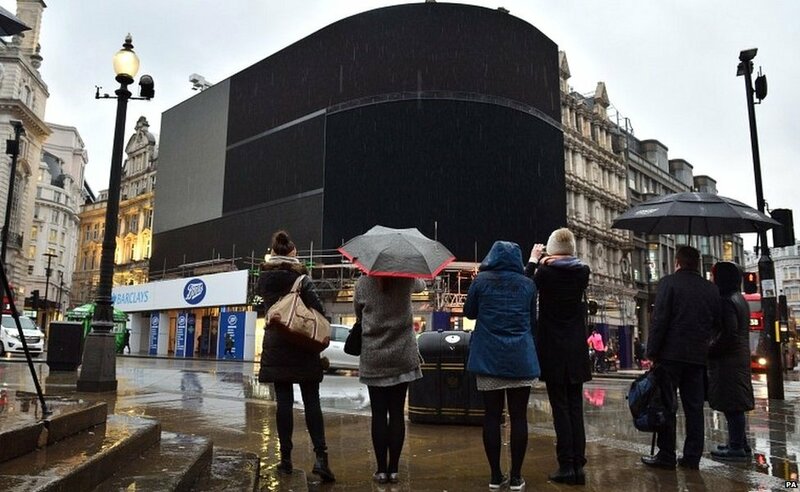 Ros Morgan, chief executive of the Heart of London business alliance, said the new screen would "bring visitors an enhanced entertainment experience". 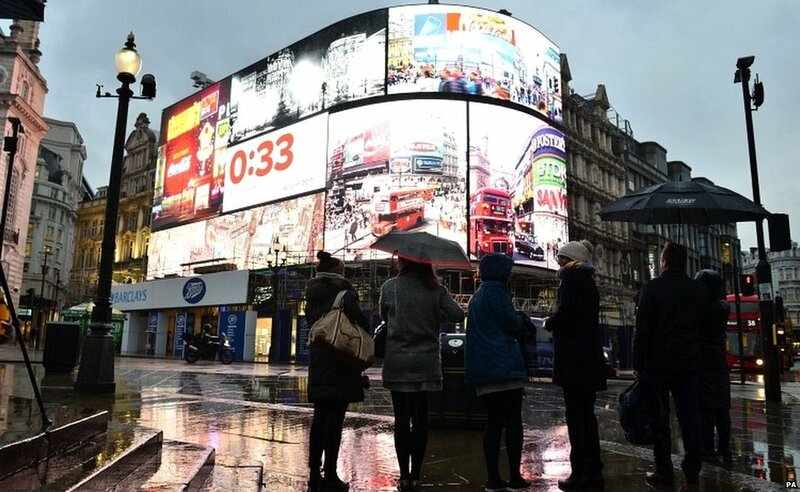 About 100 million people are estimated to pass through Piccadilly Circus each year. The lights have previously gone out in 1939 to comply with World War Two blackouts. They were not switched back on until 1949. Since then, they have only been turned off as a mark of respect, including during the funerals of Winston Churchill and Princess Diana, and in support of environmental campaigns. 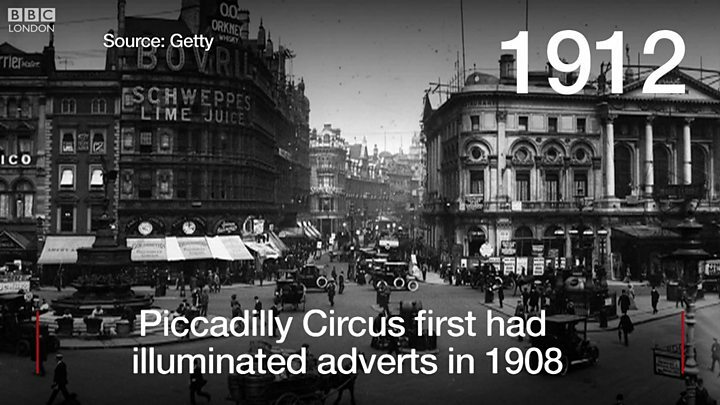 The occasional power cut and the imposed three-day week in the 1970s have also plunged Piccadilly Circus into darkness. The new display, which will be the same size as the current space, will be shared by six advertisers. Coca-Cola has been advertising in Piccadilly Circus since 1954 and will continue its residency, while Samsung will also have a spot. 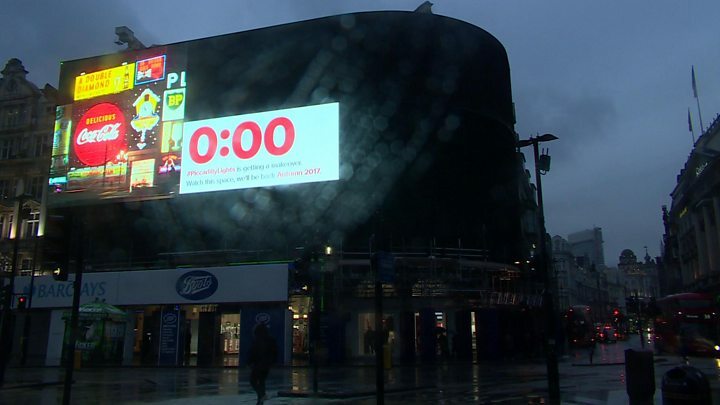 Vasiliki Arvaniti, portfolio manager at Land Securities, said the new screen would offer brands "pioneering new ways to connect" with people.